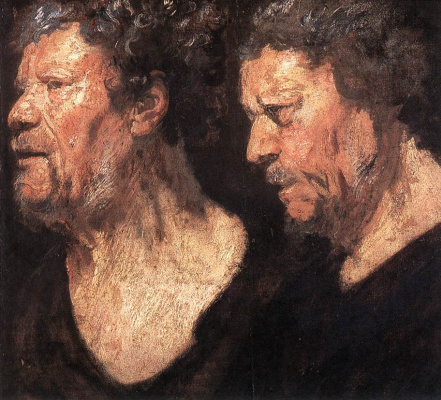 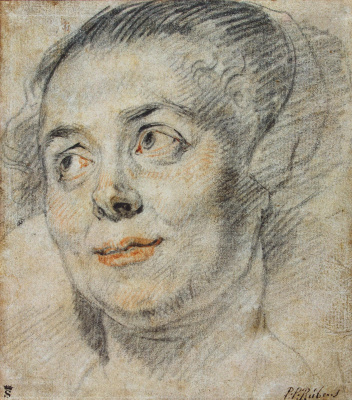 This picture is an example of a number of orders executed by Jordaens throughout the 1630s - 1640s, where he used the entire set of techniques traditionally used in writing official portraits, the genre of which was brilliantly developed by Rubens and Van Dyck. 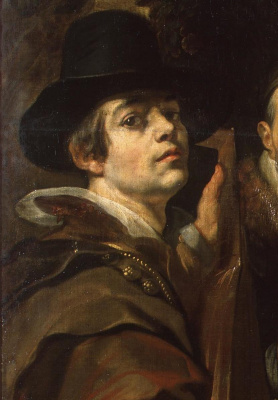 Such a portrait necessarily includes an architectural background and drapery, the model is depicted in a rich costume. 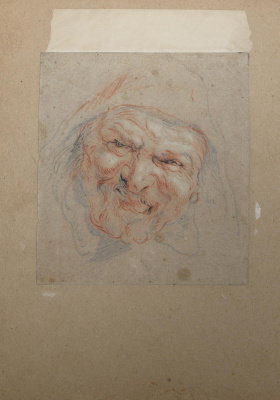 The point of view chosen by the artist on the one portrayed from below allows us to elevate a person both literally and figuratively, to emphasize his significance. 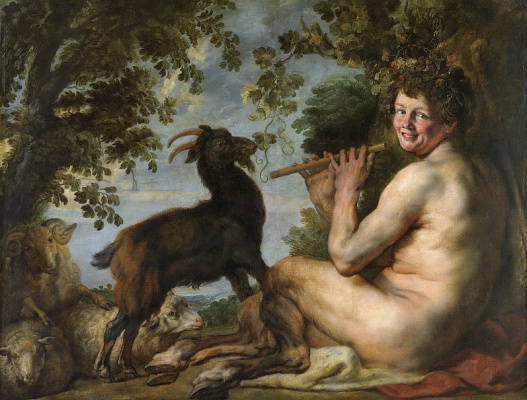 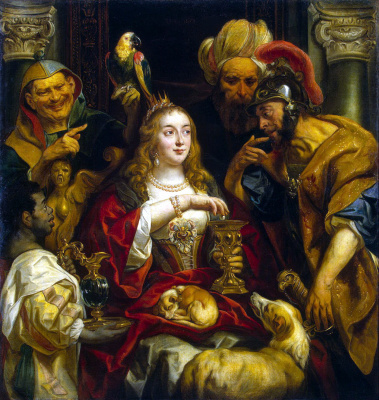 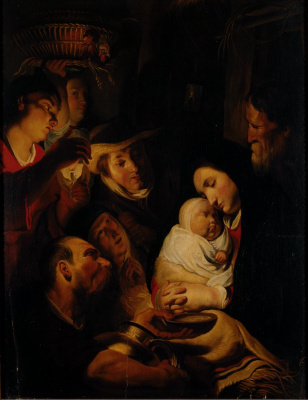 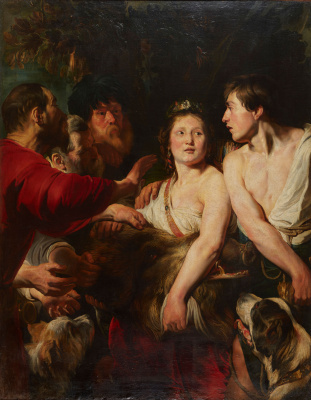 However, if the main task of Van Dyck is to transfer the high class status of their customers, their innate nobility and power, then Jordaens, using these same techniques, presents us with a special class of successful bourgeois representatives. 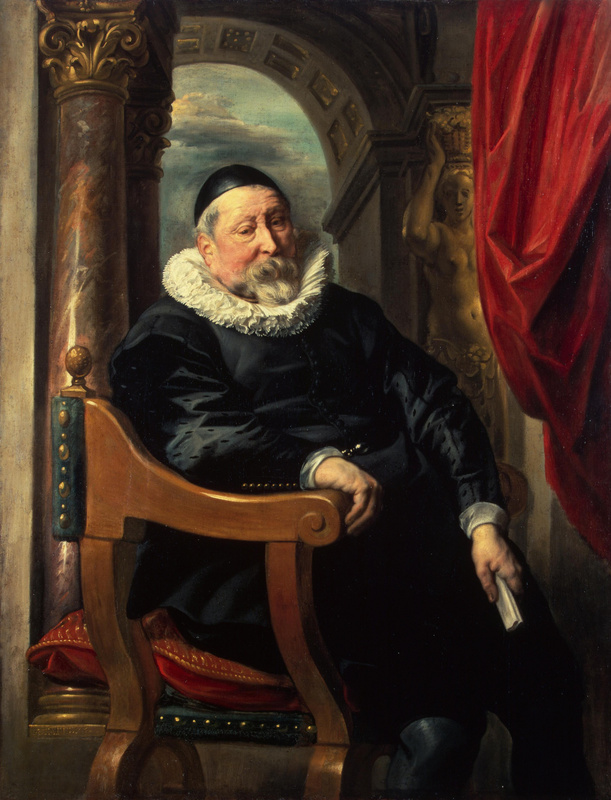 In the Hermitage portrait, he depicts an elderly man without any flattery, with swollen eyes and a corpulent body that can barely fit in a chair. 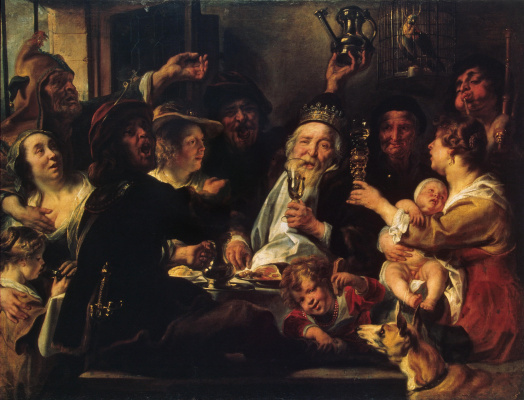 Nevertheless, the rich architectural environment and the scale of the figure that fills the entire foreground, undoubtedly, attach importance and greatness to the person being portrayed. 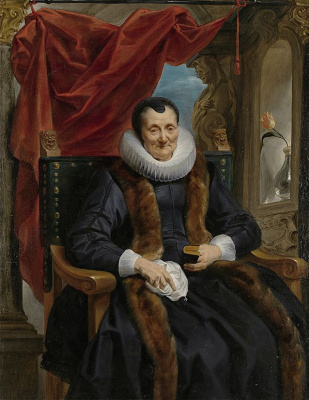 The work was done around 1637 and is a steam room for the "Portrait of a Woman in an Armchair" (Faringdon Collection, Berkshire, England).